We will be watching with interest on Saturday 19th January, when Crediton RFC’s first fifteen will be taking on Winscombe at 2.30pm, for what promises to be a thrilling rugby match. Richard Walford will be representing Gilbert Stephens Solicitors at a pre-match buffet kindly hosted by Crediton rugby club. Once we are finished with refreshments, we will be heading to the pitch in anticipation of an exciting game. Crediton RFC are currently 3rd in the Western Counties league and are hopeful about the coming season for all of their sixteen teams. Eddie Trick, President of the Crediton RFC, says, “We are still one of the only two clubs in Devon and Cornwall to regularly put out three senior teams and Colts, and we are also running twelve junior boys and girls teams and our new Ladies team is flourishing. 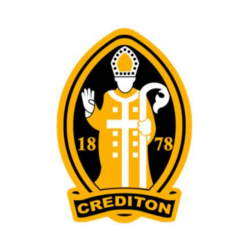 Crediton RFC have the acclaimed Exeter Chiefs and England Saxons player Alex Hepburn and Sam Hill as head coaches this season, as well as Jason Luff from the Exeter Chiefs. The second and third teams and the Colts will also be out on 19th January, battling Newton Abbot, Ilfracombe and Tavistock. We are very pleased to have been invited by the Crediton RFC committee to attend this event and are looking forward to updating you on the match result after next weekend.